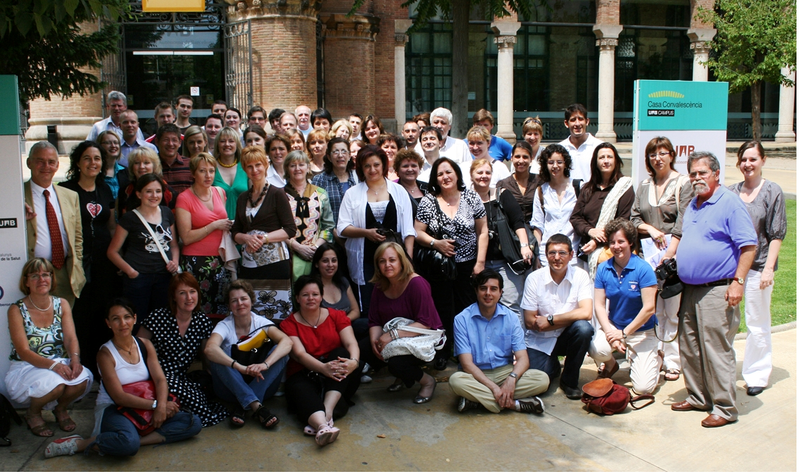 The Barcelona meeting in June had two parts. On the first day of the meeting, many of the delegates participated in a Rare!Together network workshop organised by EURORDIS and sponsored by the Medtronic Foundation. In a parallel workshop, the other delegates discussed how to improve “life with a heart defect” throughout Europe and in the individual countries. The second day was the 4th ECHDO/Corience meeting, where issues like the future of the Corience website and the next steps for ECHDO were discussed. The meeting also included a compelling session on medical presentations. Prof. Dr. Hess from the German Heart Centre in Munich talked about the Melody valve, a new procedure to replace a pulmonary valve without the need for open-heart surgery. Ines Hartwig-Zaidan from MTBASA in Berlin talked about self-management of anticoagulation for children and adults on blood thinning drugs. Although new members are joining, Hermine Nock and ECHDO continue to reach out. ”We are trying to find groups supporting patients and families affected by CoHD in Latvia, Malta, Portugal, Slovakia and the former Yugoslavian countries. Please contact us!” says Hermine Nock.